As more and more Americans make the switch from compact cars to SUVs, automotive manufacturers are transforming their offerings giving you the most fully loaded sports utility vehicles the industry has ever seen. 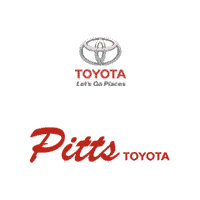 Toyota is one of these manufacturers offering a few different SUV models to fit your needs. Today we are going to take a closer look at the 2019 Toyota Highlander, Toyota’s most popular SUV. The Highlander is offered in many different trim levels ranging from a base level suitable for the common commuter to the TRD Pro that is fully loaded and features off road suspension and 4 wheel drive. With these types of offerings comes competition. The Highlander has many competitors but today we are going to look at the three most popular vehicles that compete with the Highlander. We will also determine what makes the Highlander stand out from each SUV as well. Volkswagen is no stranger to competition with a Toyota as their Golf competes with the Corolla hatchback. With the new Toyota Highlanders hitting dealers in 2019, it is worth mentioning that the Volkswagen Tiguan is a close competitor, featuring many of the same features as the Highlander. However, the Highlander offers more power, more seating, and better fuel economy than the Tiguan making it a solid choice for your sports utility vehicle needs. These features are detailed below. An unlikely competitor for the Highlander is the Chevrolet Traverse, however, it features many of the same equipment as the Highlander and will definitely give it a run for its money. As a textbook import vs domestic rivalry, the argument could go both ways. While the Traverse offers more power, the Highlander slightly edges it out when it comes to fuel economy. You will also get a little more cabin space on the Highlander making this a great feature for those who are taller or have difficulty fitting comfortable in some SUVs. Let’s take a closer look at these standout features and see why the Highlander is the clear winner.